Join the Centenary Club and help DAFC. Formed back in 1985, the Centenary Club has now donated over £750,000 to DAFC since that time. The 25th anniversary year is now not too far away, and the club continues to go from strength to strength in its main aim of helping to provide funds to both DAFC and its members. As well providing donations to DAFC, Centenary Club members get the chance to win one of four pairs of tickets to full hospitality in the Kingdom Suite for every home game during each season. For the last five seasons, the Centenary Club has leased one of the four pitchside boxes enabling prize winners to enjoy their day without having to leave the box from the minute they arrive. The box is now used for ALL Dunfermline home games including league cup and Scottish Cup ties, meaning even more winners than ever get the chance to win full matchday hospitality. Cash prizes also include a weekly draw for £250 and monthly draws for £500 winners. A recent donation to Hamish French and the community coaching dept. 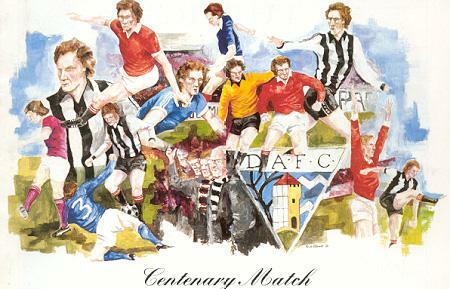 For just £104 per year, or £8.66/month direct debit, you can help the Centenary Club help DAFC. The membership subscriptions have not changed since the club was launched in "The Ballroom" back in 1985! Nat Lofthouse and Jim Leishman helped launch the club after Bolton Wanderers had a similar Centenary Club which helped the club financially when it hit troubled times at its old Burnden Park ground. All money raised goes straight to DAFC, with the exception of the prizes handed out to members as above. 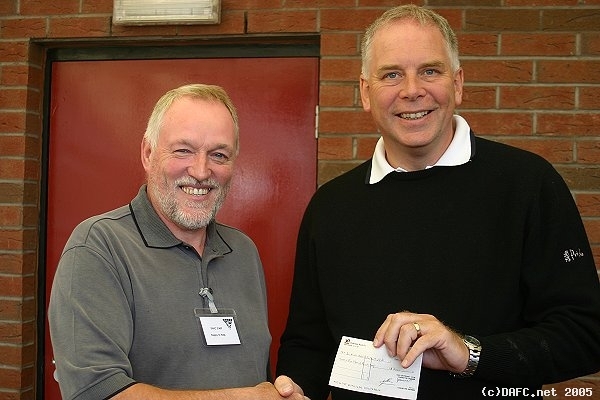 With more members, donations can be made more often to the club. The sole purpose of the club is to raise more money for DAFC, and you can help by signing up! Please print off the form and sign up today. Added benefits include a season ticket discount as well as numerous social events throughout the season. If you are an existing Centenary Club member, you can earn £10 for each additional new member you sign up. You can either print out the form above, or simply go to the ticket office at East End Park and hand over your details there. Numerous social events take place throughout the year, including very popular quiz nights, dinner dances and various other one off events. 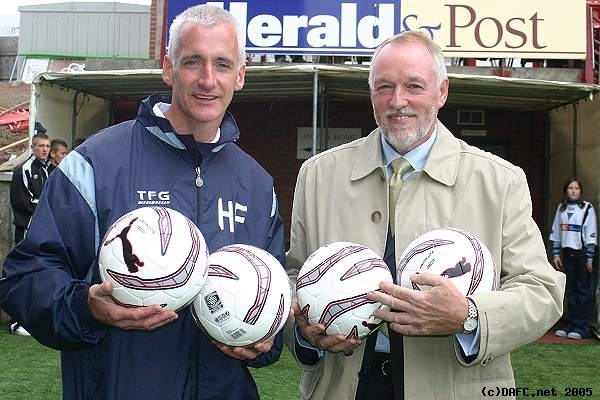 The 25th anniversary will be taking place in 2010, and already there are plans in place to mark the milestone as well as Dunfermline Athletic`s 125th year since the club was formed. Social events will be continuing throughout this season though, with a Meet the Management/Cheese & Wine evening in the Kingdom Suite on 19th February. The next Quiz Night will be 23rd April, also in the Kingdom Suite. So don`t delay, join today and you too can help provide a much needed cash bonus to DAFC, as well as giving yourself a weekly opportunity of winning great prizes!